Thank you for your interest in our Expat Cape Town newsletter and our expat website. We trust you find lots of interesting and well researched information in our Cape Town expat guide. And there is more to come! Living in Cape Town is an adventure every day and we will present more insights on a regular basis in our newsletter. 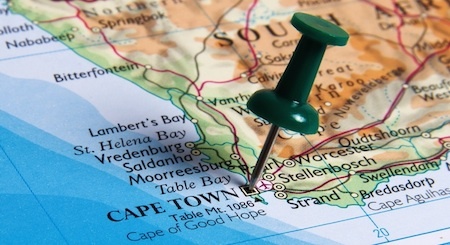 ExpatCapeTown Newsletter - Cape Town Insider Tips! Hot of the Press: What's on in Cape Town with special focus on immigration news, business news, housing news and issues related to expat family life. Every month we will pick some topics which are of interest for you whether you come to the beautiful Mother City for a holiday or a longer stay or if you just want to keep in touch with life in Cape Town. There will be also lots of info for people already living in Cape Town and anybody interested in some positive news about this beautiful city in the Western Cape of South Africa. If you would like to advertise your business to our over 3,200 newsletter- subscribers (November 2016), please contact us. Looking forward to showing you the best of living in Cape Town, Africa's beautiful Mother City! Need more info on settling and living in Cape Town? Our new expat guide book 'Living in South Africa' is out! With 296 pages, this full colour guide book is available now in all major bookstores in South Africa such as Exclusive Books, Bargain Books, CNA, Takealot and many bookshops worldwide! Our ISBN: 9780620576567. Now also available as updated e-book in both .pdf (for Adobe readers) and .epub (for Apple i-pad/i-mac/i-phone readers) Read more here.